Coming along well! Like the heavyweight additions! Stomp and smash does sound quite a catchy work ethic! Yep, the Goffs can kick some arse now! 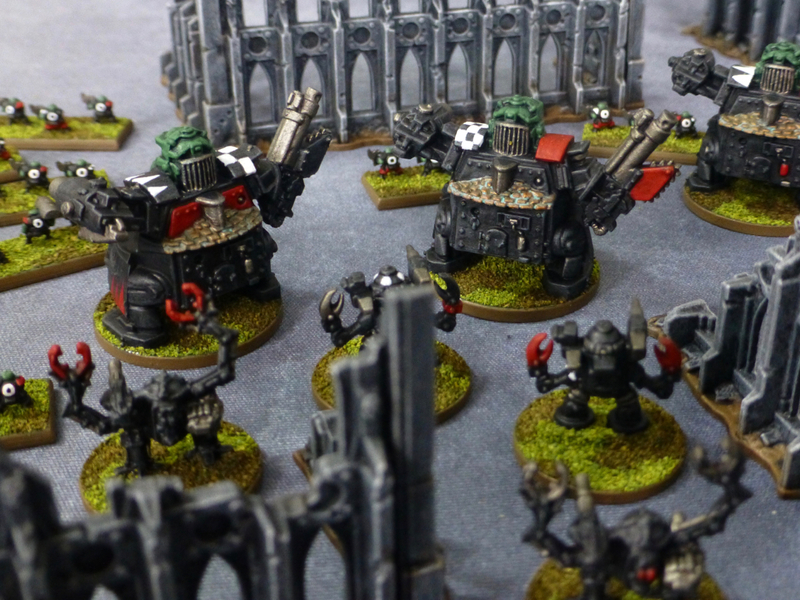 Cery cool mate – great to see the different vintages of dreadnought, and I love the green for the Stomper’s faces! Thanks, good spot on dreads! I have a mix of old and new vintages for Epic stuff which is great for variety. Green heads for Stompaz and Gargants seem right, as they are incarnations of the gods and orkdom itself. 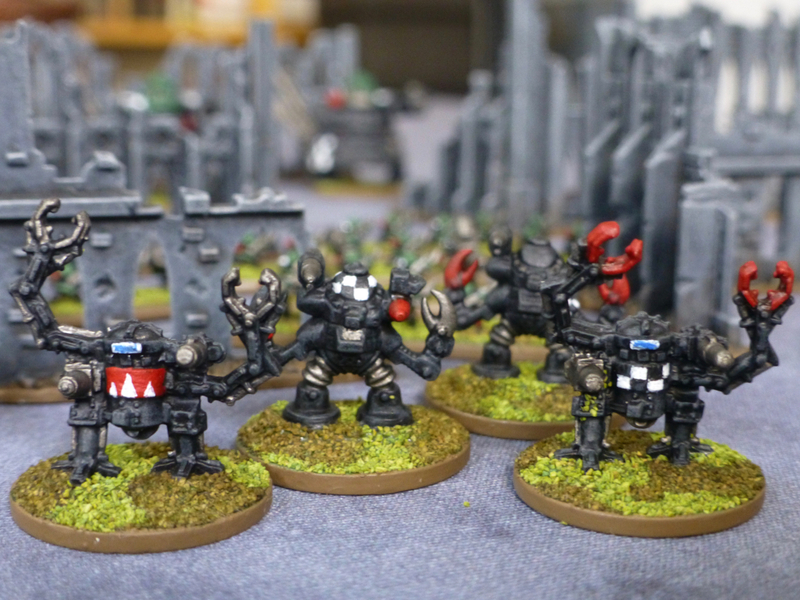 I have a bunch left so some of the other clans will get to field them too (with blue heads for Death Skulls of course). These make me sorry I left the hobby for so many years, I love them! The colors really pop on these Mechanised destroyers. The old terrain definitely came out well with only the Agrax Earthshade. So much character you’ve brought out here. Fun stuff! 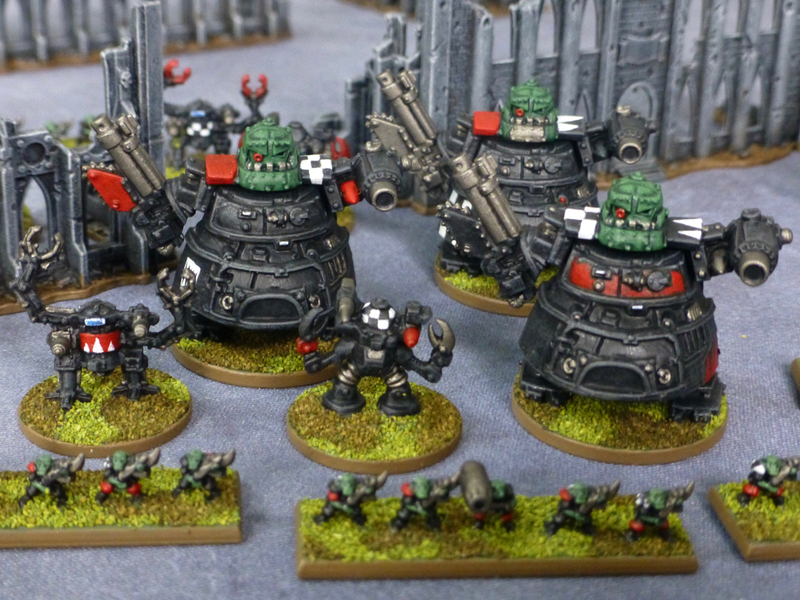 The Epic range captured the character of the Space Orks very well, and their iconic colour schemes help to bring it out even more. 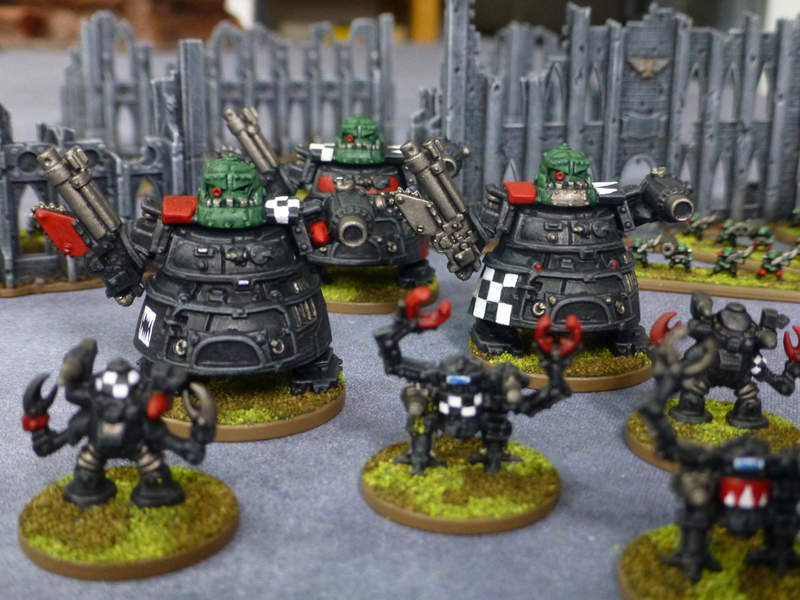 I rediscovered my passion for it recently and remembered why I collected Space Orks all those years back in the first place. 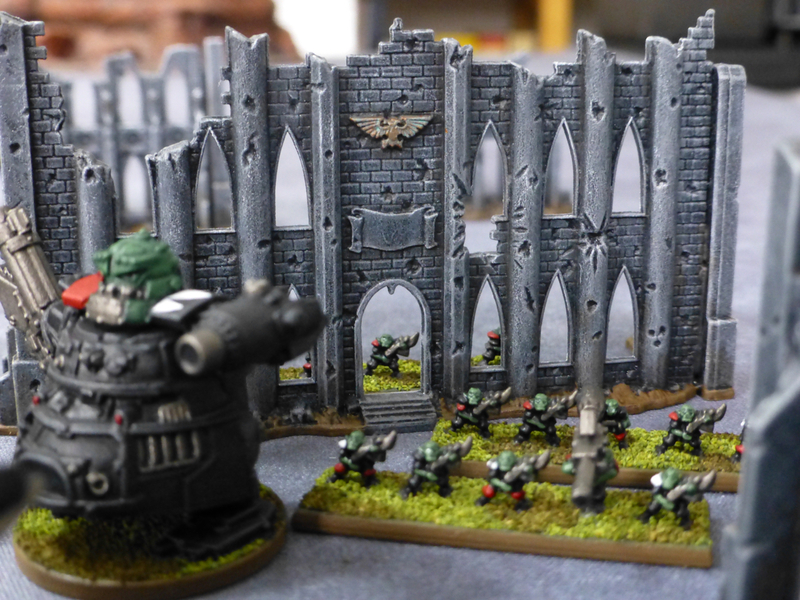 It is getting difficult/expensive to put second hand armies together these days but 3D printing is starting to have an impact and there are increasing options for not-Epic alternatives. Fantastic stuff. You’ve done well with the ruined buildings too. Thank you! I have a good selection of buildings now, the ready made cardboard ones from two of the editions are also very nice. There will be a lot of bloody house to house fighting in my epic battles. Awesome! It’s like it’s 1996 all over again! Scary to think how old the Epic models are that I still consider to be the “new ones”. Glad you are enjoying the lot!